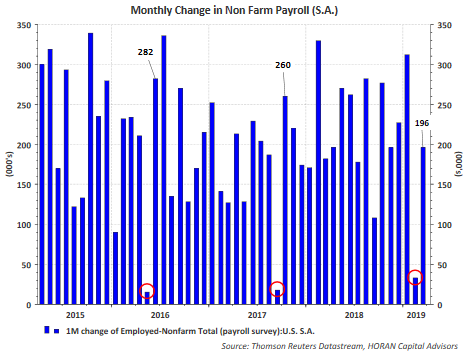 The February Job Openings and Labor Turnover Survey showed a drop in openings of 538,000. 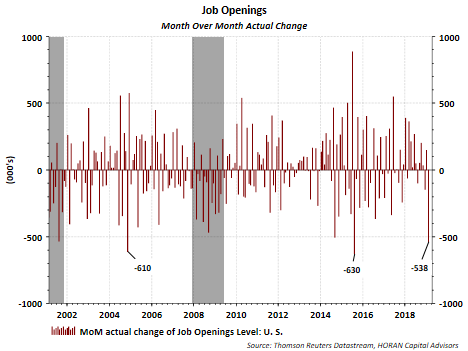 However, it has not been an unusual occurrence for openings to fall. 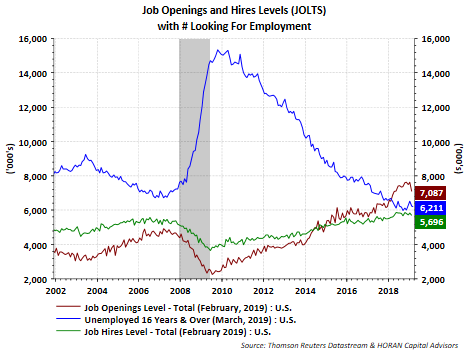 Importantly, openings continue to exceed the number of unemployed by 852,000.